Ahead of a thrilling battle between the men's west division champions, F.C. London, and the east division champs, Vaughan Azzurri, in the Saturday October 15 2016 League1 Ontario Men's Championship Final - let's take a closer look at the fine details of this riveting match-up. 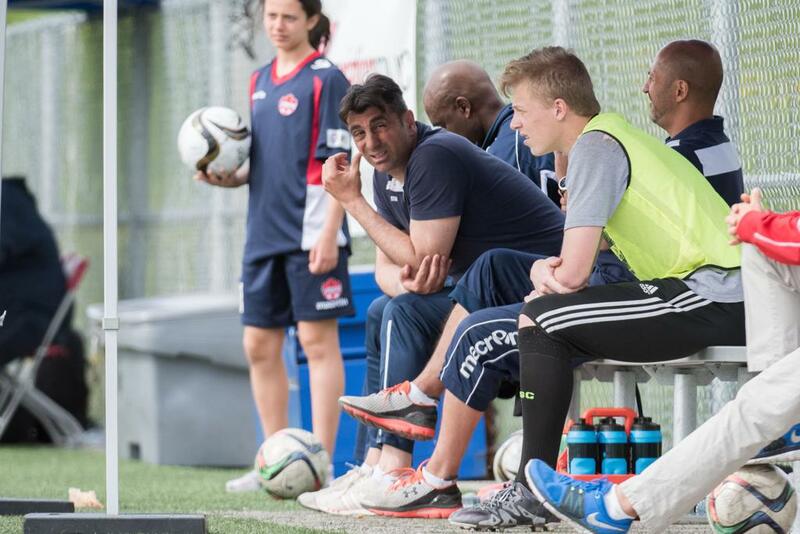 Vaughan Azzurri is an original member of League1 Ontario, helmed by head coach Carmine Isacco for three seasons. Vaughan has consistently been a force in League1, with regular top four finishes in the previous league format that was a race to the regular season finish line with no playoffs. However, Vaughan did claim silverware on the way, defeating Sigma FC in 2014 at BMO Field in the inaugural L1 Cup, and now in 2016 the club has already reclaimed the L1 Cup from divisional rivals Woodbridge - winners over Sigma in the 2015 L1 Cup final. 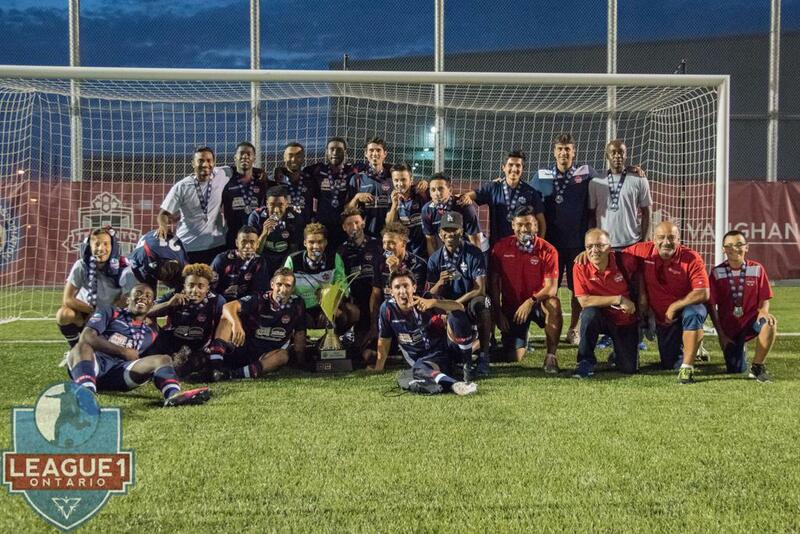 Vaughan's record this season is the best of either men's east or west divisions, with an average of 2.5 points per match, a record of 17 wins - 1 loss - 4 draws - the one loss a 3-0 away defeat to 2015 League1 Ontario Men's Champions, Oakville Blue Devils. FC London joined League1 Ontario for the 2016 season, rebranding and reforming under the FC London moniker after several successful seasons (2008-2015) as Forest City London in the United Soccer Leagues' Premier Development League (PDL), where the club won the 2012 championship. 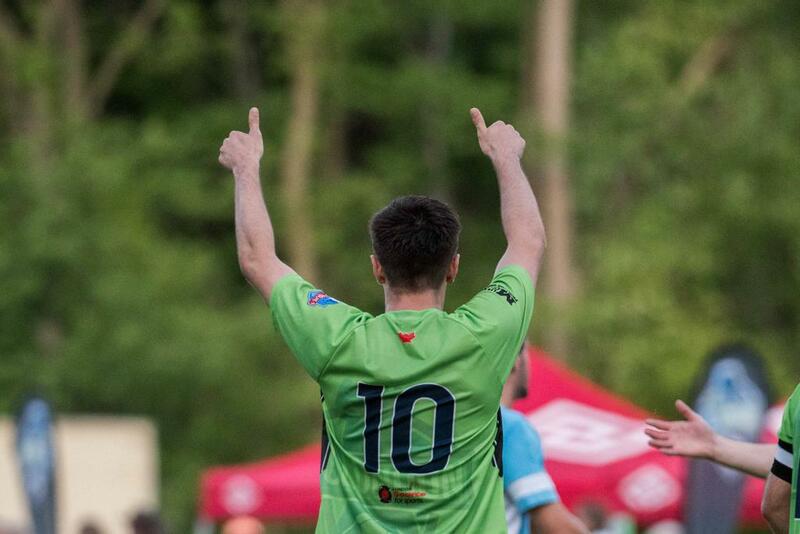 FC London was neck-and-neck with Sigma FC in the men's west division for most of the season, ultimately beating their rivals 6-0 in London's penultimate game of the season to win the division by three points. With 47 points from 22 matches, FC London's point ratio was 2.14 per match, and an end-of-season record of 15 wins - 5 losses - 2 draws. FC London is led by head coach Mario Despotovic, previously a coach with the academy section of Dynamo Zagreb, who has the top license in the coaching business - a UEFA Pro certification. Despotovic's influence on the squad has been obvious; he was elected by his peers as one of the two coaches to lead the men's west team in the 2016 All-Star match, and FC London players have been consistently effusive in post-match praise of their boss. His demeanor, instruction in training and matches, and tactical brilliance quickly won over the dressing room of locally-based players. Vaughan's Carmine Isacco needs no introduction. 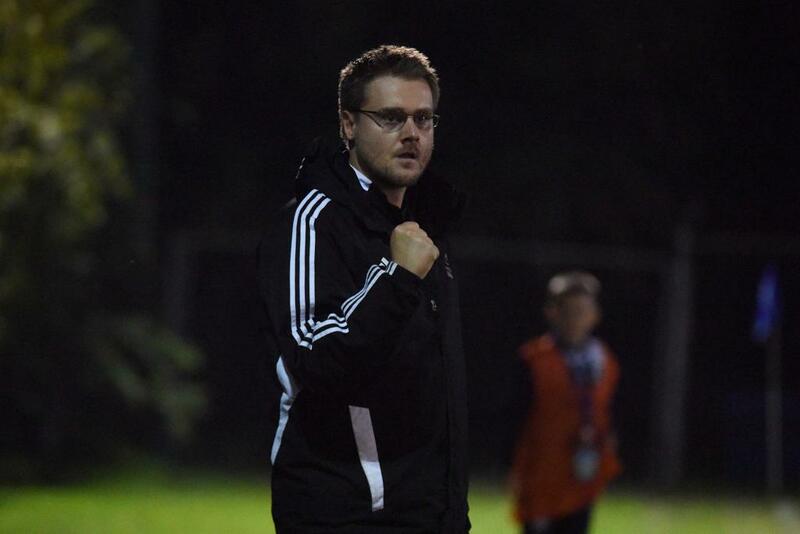 Elected League1 Ontario 2015 Coach Of The Year, Isacco is the head coach of both the League1 men's and women's programs at Vaughan, the technical director of the club, and is men's head coach at York University - the two time defending national champions. Isacco was also chosen Coach Of The Year by the Canadian Interuniversity Sport (CIS) Coaches Association in 2014, and was a member of the technical staff for Canada's U23s at the 2015 Pan-American Games in Toronto. 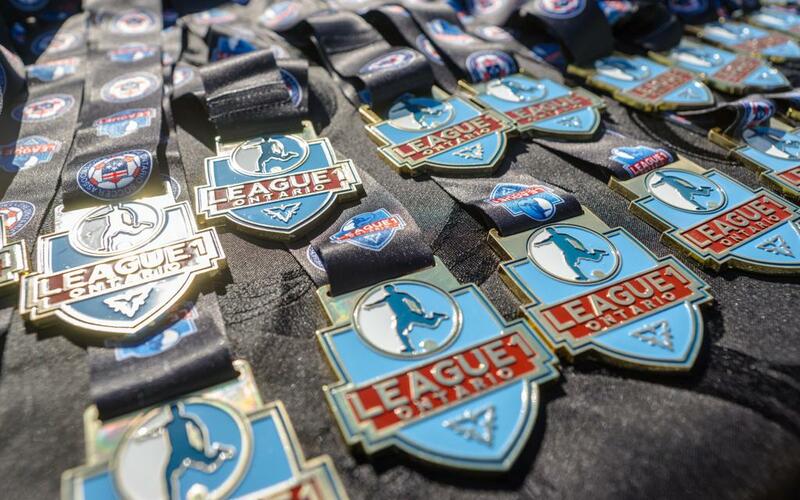 In head-to-head League1 Ontario competition, Vaughan and FC London have only met once. On July 24 2016 at McNaughton Turf, Vaughan, the Azzurri posted a 3-2 win in a very tight match. London's Elvir Gigolaj (50') finished a penalty for London just after the half-time break, cancelling out a fantastic early Dena Iezady (7') strike for the Azzurri. London's Al-Sayed (56') put the away side ahead moments later, but in the final ten minutes Vaughan's Jarek Whiteman (81') headed in a free by Daniel Cramarossa, before Cramarossa (89') himself finished off a Brandon Mills cutback. In fairness, the result could have gone either way, with both sides hitting the woodwork and going close on several occasions. Vaughan started and ended the stronger side, but FC London grabbed momentum midway through the match and in the end were let down by a couple badly-timed defensive errors. Both teams have large rosters, but a steady core has characterized each side and can be expected to start on the day. FC London central forward Elvir Gigolaj has been a scoring revelation throughout the season, and his consistency in front of net has earned him the 2016 Golden Boot with 23 goals in 20 matches. At the other end of the pitch, London goalkeeper Anthony Sokalski has been a revelation of another kind; having played virtually every minute in the season, Sokalski's league-leading ten clean sheets makes him one of the front-runners for the 2016 Golden Glove award. In between front and back, London also has a steady supporting cast, with ex-professional Mike Marcoccia on 14 goals from 18 matches, and Petar Karan, Randy Ribeiro, Daniel Amaya, Sean Fawsitt, Max Marsh, Brian Pistor and Parker Seymour all available for selection after posting over 16 matches each over the season. Vaughan has a massive roster, but with a number of players involved with York University and many more gone away to school, the club has been relying on a steady core for the last two months. Their consistency has resulted in the team only leaking six goals in the last nine matches - never more than one or two in a match - and scoring at least five goals per match in their final five outings. Forward Jarek Whiteman leads the team with goals, with 13 from 17 matches, but the Azzurri is a group that relies on team output to get goals. Expect to see ex-pro Joseph Di Chiarra, brotherly threat Jason, Brandon and Jashua Mills, Dena Iezady and Mario Kovacevic all providing dangerous attacking outlets in the final third. The backline should be steady for the Azzurri as well, with Adrian Butters, Jarred Phillips, Daniel Gogarty and Joseph Amato providing a winning partnership over the past two months. Both Vaughan and FC London play a very similar style of play, looking to dominate possession as much as possible, but at the same time either squad can be lethal in the counter-attack. Defensively the two finalists are also similar, preferring high pressure defending to cough up balls close to the opponent's net and yield promising counter-attack possibilities. 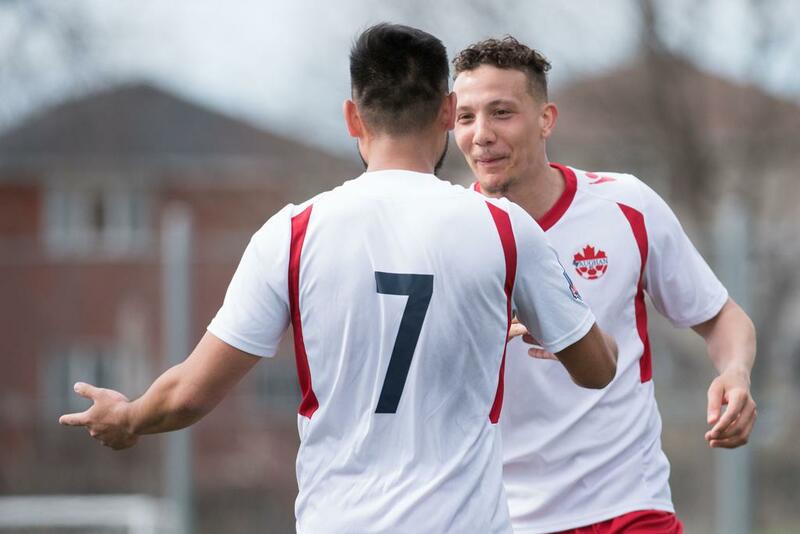 In the one head-to-head match League1 Ontario supporters have witnessed between the two finalists, FC London fielded a 3-4-3 that provided options for both exciting attacking play and compact defensive pressure. Vaughan has stuck with a 4-3-3 pattern consistently, relying on the familiarity between players to patiently build up the ball and activate fullbacks to pin back opposing teams in the flanks. With such a deep roster to choose from, Isacco is often able to keep his system steady while mixing up personnel on the fly. This should be an thoroughly engrossing battle for the 2016 League1 Ontario Men's Championship, full of skill and tactical nous: don't miss out!